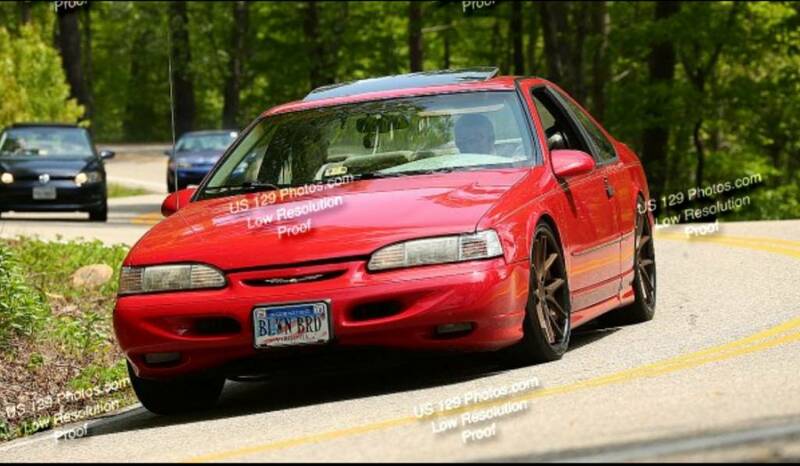 I'm looking for a set of wheels and tires for my 91 thunderbird, tire rack has the bbs SRs in a 18x8 with 42et on 245/45/18 tires or a 16x7 with 45et on 225/60/16 tires. I really like the idea of the 18s but unsure if they will fit right, the car is factory height now, but I have plans to lower 1.5 in. Any help would be greatly appreciated! The BBS 18x8 with 245/45/18 should fit fine. They'll be 3/10" closer to the wheel wells, but our stock wheels sit inboard somewhat, so there should be clearance. I would not personally go with a 16" wheel these days. Performance oriented tires are few and far between, when you can get tons of good, cost effective street performance tires with great treadwear and grip. I would also go with the 18s. They will fit good. Here is my car with 20x9 +35et and then a comparison of my wheels to the 18" bbs. Thanks guys! I will go with the 18s! I'll post a pic with them on! Now it needs a drop! BLOWN38, quickford and Woodman like this.